Following the successful Grant Application for the Town Hall Restoration Project, a vacancy exists for an Activity Planner. 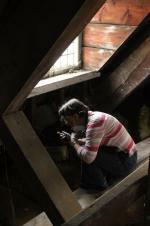 This full-time Heritage Lottery Funded post offers an exciting opportunity to to be involved in the delivery of a major project. Please see the attached documents or contact the Town Clerk for further details. 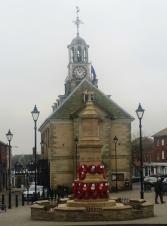 We are pleased to announce that Brackley Town Council has secured £2.2m grant from Heritage Lottery Fund for the regeneration of Brackley Town Hall. Town Mayor, Cllr Jim Broomfield said "We are all extremely delighted with the news, and I would like to thank all Project Leaders, Councillors and Officers for the hard work put in to ensure the successful outcome." 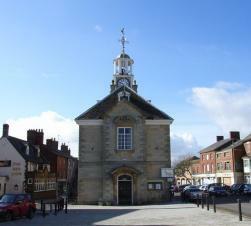 Expressions of interest are invited from builders for the refurbishment of the old Fire Station building, High Street, Brackley to create a community room and cafe. 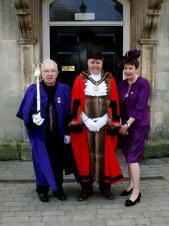 At the meeting held on Saturday 16 May Cllr Jim Broomfield was invested as Brackley Town Mayor for the ensuing year. This is the fourth time Cllr Broomfield has held the office; his first Mayoral year being 1995/96. The Mayors Consort is his partner Ms Debbe Perry. 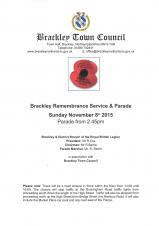 There are two vacancies on Brackley Town Council following the recent election - one on East Ward and one on West. If you would like to apply for either of these vacancies further details, and an application form, are attached to down load. Bank Holiday weekend - No closure. 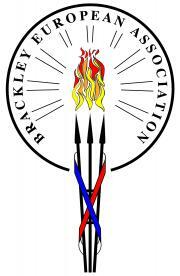 The Annual Town Meeting will take place on Monday 30th March 2015 at 7.30pm in the Upper Hall of Brackley Town Hall. 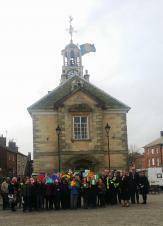 Brackley Town Council took part in the Commonwealth initiative Fly a Flag for the Commonwealth on Monday 9th March 2015 at 10.00am to coincide with the entire Commonwealth.